Get started for only $35/month! Instant access to the best, most accurate training you can find. Our guides will take you from novice to expert in all aspects of Drupal. Get started with one below, or see all our guides. A Themer is the connection between the designer & developer on a project. Developers extend, alter, and enhance Drupal by creating modules. Our tutorials are comprehensive and kept up-to-date with the latest version of Drupal. You can even choose to read text or watch videos. Our trainers are talented teachers with over 35 years of combined Drupal experience. They make learning fun and effective. 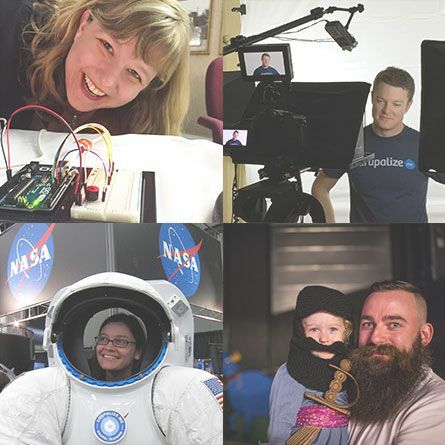 "The mission of the Drupal Association is to foster and support the Drupal software project, the community, and its growth. 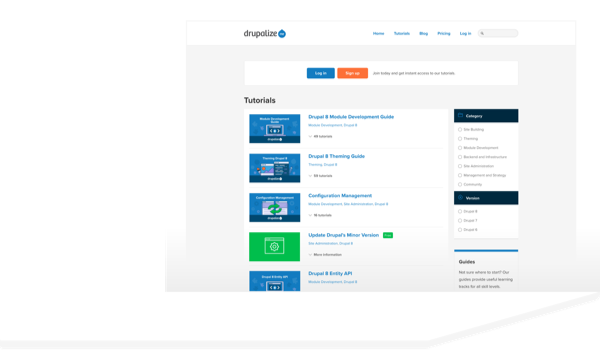 Drupal education, like that provided by Drupalize.Me, is important to this mission." Former Exec. Director, Drupal Assoc.